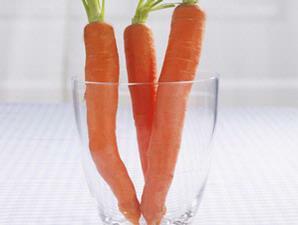 A prison in New Zealand offers a carrot to the prisoners to help them overcome the addiction to cigarettes. Next month in state prisons will be smoke free. It was revealed from an internal memo that leaked from Invercargill Prison. In the memo mentioned prepared two carrots a day for each prisoner so that they stop smoking, smoke-free regulations enacted before July 1 next. The memo was called a jumbo-sized carrot to produce 16 bars if cut size of a cigarette carrots. President of the Prison Association of New Zealand Beven Hanlon thought it was a joke when I first heard about it. "I think it's not the best idea, but worth a shot," said Hanlon. Carrots is intended to divert attention from the prisoners cigarettes. It's a healthier option than replacing cigarettes with other foods, candies, for example. Hanlon, the union representing prison guards, said the carrot sticks that are intended to distract the prisoners from the cigarette. It's a healthier option than replacing cigarettes with other foods, candies, for example. "This is all related to the mouth ... if there is something in the mouth, then they would not find cigarettes to tuck," he said.